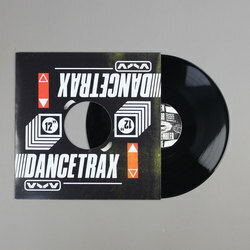 Jensen Interceptor & Assembler Code - Dance Trax Vol. 19. Vinyl 12. Bleep. The mighty duo of Jensen Interceptor & Assembler Code unite once again for another set of, as the press release for Dance Trax Vol. 19 puts it, ‘high octane electro nuttiness’. They’re not wrong, you know - these are some delirious, manic, spin-ya-head-right-round DJ tools. The thing that sets this pair apart is the huge clout they bring to their drum programming, something that draws as much from hard techno as it does from electro and Braindance.